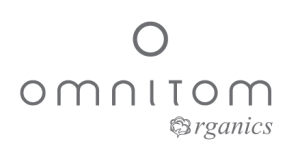 Omnitom accepts returns up to 30 days from the date of purchase if the item is not worn and/or washed, and is returned in the original packaging with the labels attached. Please send a note with your name and address and how you would like us to handle the returned goods (refund or exchange).Refunds are credited back to the original method of payment used. Please note that shipping cost are not refundable. Items on sale cannot be returned or refunded. If you receive the item damaged or defective, we will replace it in case it is not worn or washed. We recommend that all returns be sent via a traceable service. Omnitom will not be responsible for packages lost in transit and those will not be refunded. We do not pay for shipping charges on return postage. The most comfortable and soft yoga clothing I've ever worn..!It really feels great on your skin..! Omnitom is by far, the hippest most comfortable yoga clothing I've ever worn. I love the rock om roll top! Need to save up for the top in every colour. I'm very happy with my order. The clothes are so beautiful and the quality is so good. I've never had such great yoga-clothes before. Thank you for for geting my new yoga pieces away so promptly. They are a perfect fit & feel so beautiful to wear.